If you can stand the heat, summer is a great time to visit Japan: there are fireworks, festivals and street food both renowned and local. The active go hiking and camping and, for those who need a good rest, Okinawa has beaches to rival those famous Thai ones. There most be a downside, right? Yes. It has three pairs of long, skinny legs, hums a tune and loves it when the sun goes down: Japan has plenty of mosquitoes waiting to nibble at your flesh. Once bitten, twice shy – reach for a bottle of Muhi. 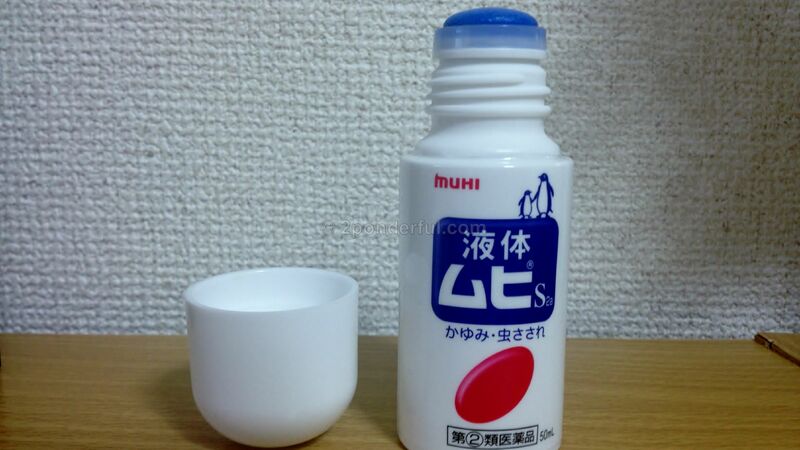 After more than 15 years of living in Asia, I can tell you that Muhi is the best product I’ve tried for relieving the itch. Available in all chemists/pharmacies and in some supermarkets or convenience stores. IKEDA MOHANDO CO., LTD.,（株式会社　池田模範堂） a company founded in Toyama, Japan over a century ago in 1909, has two things to be proud of. First, we have the largest share of the market for insect bite medicines not only in Japan, but also in Hong Kong, Macao, Malaysia, and Singapore. Second, we have world-leading technologies in the production of external medicines. Our company will make full use of its high technologies as a specialized manufacturer of external medicines to continue developing and manufacturing products of enhanced quality, efficacy, and safety. ← A quieter Kyoto 2: Get up early and go out late!